Tracey Bayliss, a senior project manager at The Dudley Group NHS Foundation Trust, recently completed the Improvement FUNdamentals Massive Open Online Course (MOOC). In this blog she highlights some of the benefits of the course and explains why other people should consider enrolling on it. I have to say that I’d never heard of a MOOC before completing Improvement FUNdamentals, but I can honestly say it does exactly ‘what it says on the tin’ – a massive open (to everyone) online course. As a ‘newbie’ Senior Project Manager in the trust’s service improvement team, I was asked to try out the MOOC with a view to promoting more widely to staff and also to refresh my own quality improvement (QI) knowledge. I was up for the challenge! The course is set out using a metaphor of hiking and geocaching (an outdoor recreational activity much like treasure hunting). The treasure is, simply, the skills and knowledge you learn, as you go along, at your own pace. Modules are set out in easy to follow project themes with ‘QI hikers’ being urged to do their own QI project alongside the course. In addition to the multisensory learning modules (videos, presentations, PDFs and quizzes) you can dip in and out of, hikers are encouraged to interact with peers through the course chat postings, webinars and social media networks. Together with some other participants, I had an interesting online chat after taking the quiz on learning styles, with some people being surprised to discover their own preference, e.g. visual, auditory, read and write or kinaesthetic learner, but we were all different. This made me think about the way the course had been designed with multiple learning style materials in mind and is something I have taken away to remember when communicating with different people. The course is totally patient centred and starts off by presenting patients’ accounts of their experiences in health care, which paves the way to introducing improvement programmes and giving examples of success, where patients and staff have been involved in quality improvements and transformational change. Sometimes it’s human nature to point out things that don’t work instead of suggesting how they could work better. One of the first concepts introduced by the MOOC is that every member of staff in health care has two roles: one is their job description and the other is their duty to lead/support quality improvement and transformational change. The module then builds on this theory and introduces the importance of involving patients and staff in quality improvements, giving many examples, some of which I have taken away with me, such as informal workshops and Lean (reducing waste) events. Although I’m used to looking at tools and resources in my current role it was great to see so many examples of the PDSA (plan – do – study – act) cycle in action. I also found the tools for measuring improvement very informative, in particular for sharing how we are doing with patients and staff, e.g. performance metrics and communications – which is something I would like to improve upon. As a result of the MOOC I am now on LinkedIn. I have shared some of the ideas/lectures on LinkedIn and have now built up a number of people, links and networks which I can use in my day-to-day working, e.g. NHS improvement updates, interesting articles and information. I also found the chat forums useful for posting queries about the MOOC. I think it’s always good to connect with peers going through the same learning experience and to motivate and help one another along. We have also added a link to the course on our trust hub and have promoted the MOOC to all staff. The course is totally flexible and you can literally learn at your own pace. I would advise trying to prioritise some regular time once per week (which you might need to agree with your line manager) even if it’s just for a couple of hours. Better still, if you start your quality improvement at the same time as other colleagues it will help guide you through your project, which will mean that you progress quicker through the course! Also, the MOOC could form part of your appraisal personal objectives. Finally, remember, you don’t have to look at all the material, it suggests, at once. You are a hiker and you can’t be expected to walk every path! It is available indefinitely so you can always refer back to it at any time when a query arises or you want to gain more treasure. Give the course a go! 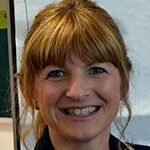 Tracey Bayliss has worked for nearly 30 years in various admin and clerical roles for two acute NHS trusts in the West Midlands. Currently she works as a Senior Project Manager at The Dudley Group NHS Foundation Trust. As a member of the Service Improvement and Programme Management Team, established to oversee, challenge and support the trust’s transformation workstreams, she is responsible for managing and delivering multiple complex projects; helping to embed use of the trust’s own programme management tools; and providing assurance of delivery to the trust’s Transformation Delivery Group. Tracey recently completed the Improvement FUNdamentals Massive Open Online Course (MOOC) and would like to recommend it to others. Tracey, this is a really useful and insightful blog post, thank you! I am a freelance trainer and have been delivering leadership and QI for several years to trusts in the south and around London. I will share your blog with my senior management colleagues who are driving QI culture change within the NHS Trusts I currently work for.